Passive House Canada Conference Social and Tour are Open for Registration! We would like to thank our Passive House community, speakers, volunteers and delegates for their incredible support! Our Conference is SOLD OUT, but you can still attend the conference social and networking event, in addition to the Passive House Project Tour. You will not want to miss this event! Held in the one-of-a-kind BCIT High Performance Building Lab, this is sure to be an evening of hands-on fun as you put into practice what you have learned at day one of the Passive House Conference! Hosted by BCIT at the High Performance Building Lab, the evening will provide an opportunity to take part in several stations where you can get your hands dirty – maybe even get a blister on your thumb! Tickets ($40+tax) include dinner & wine and transportation to and from the convention centre. A big thank you to our sponsors Roofing Contractors Association of BC (RCABC). *Because Conference is sold out please register for the social event using the ‘SOCIAL ATTENDANCE ONLY’ option. On Friday November 9th Passive House Canada will wrapping up the conference and kicking-off International Passive House Days with project tours. It’s worth the drive to Whistler! Tour includes the BC Passive House manufacturing plant of prefabricated panels, a single-family residential dwelling, a commercial Passive House building and a MURB under construction. Transportation provided, lunch is not included however participants will have the opportunity to purchase lunch along the way. Tour tickets are non-refundable. *Because Conference is sold out please register for the tour using the ‘SOCIAL ATTENDANCE ONLY’ option. Advancing market transformation, one step at a time. As many of us shift from summer mode, ramping up for a busy fall season, let’s take a minute to look towards the future. Canada has come a long way in a relatively short time developing a vision of what buildings should be. While the concept of high performance buildings becoming the norm is only emerging in most circles, it is well defined in Build Smart: Canada’s Buildings Strategy. And though the roll out of the strategy may seem frustratingly slow to those of us delivering high performance buildings today, the direction is clear. To advance Canada’s future vision of buildings, we have been working hard to partner with government bodies and industry leaders like you. Before the release of Canada’s Buildings Strategy, we were deeply involved in the development of the UN Framework Guidelines for Energy Efficiency in Buildings. Currently those guidelines are emerging as a global reference that also aligns well with Build Smart. Our work continues as we work in conjunction with the Passive House Institute and other international agencies to implement the Framework Guidelines in regions across the globe. Our goal is to develop a globally recognized level of performance that buildings should achieve to address climate change and meet the UN Sustainable Development Goals, which also address issues such as affordability, quality of life, and building resiliency. These goals are supported by buildings achieving the Passive House standard and the pursuit of this strategy creates the opportunity to chart a new path for Passive House performance levels, enabling those design and construction practices to become mainstream. In addition to directly benefiting from global knowledge and policy development, Canada has the true potential to be a global leader in the quest to deliver buildings that are better for people and the planet. To reflect the work that the Canadian Passive House community, your community, has been doing, we decided to align our conference with the conferences of the national and global leaders with whom we have been Partnering for Transformation. Attending our conference in November will give you an opportunity to connect with the global community of leading building scientists and policy makers addressing building performance and climate change. It is an exciting time to be working with industry and government partners developing the shared vision outlined in Build Smart, a process you can connect with, and benefit from, regardless of where you live. We encourage you to register to take advantage of the opportunity to hear from, and meet, those responsible for accelerating market transformation in Canada and internationally, in addition to learning from some of the industry’s top design and construction professionals. We look forward to staying in touch over the next several weeks as we continue to prepare for our conference and AGM. Thank you for being part of this incredible community, for supporting Passive House Canada, and for all that you do in your day-to-day work to advance the transformation of Canada’s built environment. Together we have accomplished so much, which we could not have done without you. Passive House Canada and Vancouver’s Zero Emissions Building Exchange join international powers to drive global adoption of performance-based codes for buildings. On July 10, 2018 Passive House Canada and Vancouver’s Zero Emissions Building Exchange (ZEBx), participated in the UNECE High Performance Building Initiative at UN Headquarters in New York to establish the International Centres of Excellence on High Performance Buildings. Also present were the UN Deputy Secretary General Amina Mohammed, the City of Vancouver, representatives from Ireland, Penn State University and the North American Passive House Network. The United Nations Economic Commission for Europe, or UNECE, is one of the five United Nations Regional Commissions working to implement the UN Sustainable Development Goals. In 2017 UNECE adopted the Framework Guidelines for Energy Efficiency Standards in Buildings which promotes the adoption of aggressive, performance-based codes for buildings. To support deployment of the Framework Guidelines and to advance the performance of buildings broadly, UNECE is launching a global network of International Centres of Excellence on High Performance Buildings that will provide on-the-ground implementation assistance for building owners and developers, contractors, architects, engineers and planning officials. Passive House Canada is pleased to provide you with our 2017 Audited Financials. We are pleased to announce the Summer and Fall course calendar! The schedule was designed to help practitioners get the training required in several metropolitan areas and prepare them to write the Certified Passive House Designer/Consultant exams scheduled by the Passive House Institute. There will be over 70 courses, events and exams offered. You can access the upcoming courses here. Important note: On June 1, 2018, course prices will be marginally increased to help cover the rising costs of our education program. The additional revenues will be directed to improve the program and cover increasing costs for venues, catering, printing and travel. In addition, we continually update the curriculum and plan to develop new courses and workshops, which require significant ongoing investment by Passive House Canada / Maison Passive Canada. Rest assured that course prices will remain competitive with other professional courses offered by similar not-for-profit associations and all people registered in Fall and Summer courses before the price change will benefit from the slightly lower fees. We thank you for your anticipated understanding and continued support. VANCOUVER, B.C. 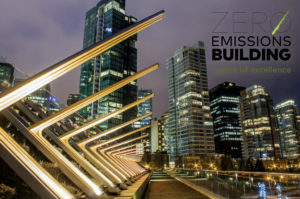 – The Vancouver Regional Construction Association (VRCA), the City of Vancouver (the City), Passive House Canada and the Open Green Building Society are pleased to announce the launch of the Vancouver Zero Emissions Building Centre of Excellence (the Centre and/or ZEBCoE), a collaborative platform to strengthen the public, private and civic capacities to deliver zero emissions buildings. 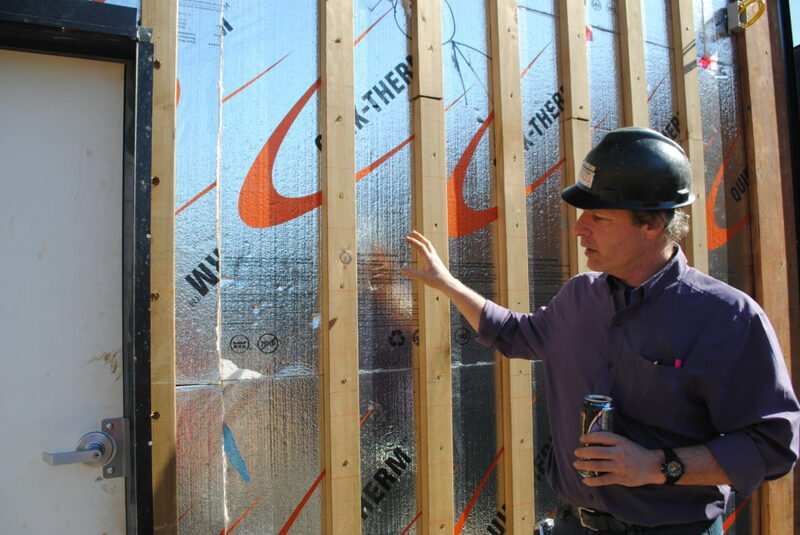 In mid-March, Passive House Canada office staff toured the Nanaimo Aboriginal Centre Passive House site with Field Superintendent Dallas Clark Renney of Saywell Construction Management. As a co-op student from the University of Victoria, I am just learning about Passive House building methodology and this was my first site visit. Dallas greeted us at the site gate with the sleeves of his purple shirt rolled up, wearing well worn work boots and a black hard hat, a tape measured hanging off the pocket of his jeans, and an energy drink in his hand. He had stopped running the heavy machinery to give us the tour. The City of Vancouver and Passive House Canada are organizing 2 interactive workshops to help Passive House professionals build Passive House high-rises, April 25, at UBC Robson Square, in Vancouver. The Mitacs Career Connect program is currently offering opportunities for projects that aim to protect the environment, create positive environmental outcomes, or address an environmental or climate change-related challenge. The program provides a 50 per cent employment subsidy to eligible organizations for a six-month green project that offers STEM-career experience for a young graduate. Sustainable planning and urban design, including Passive House projects, are eligible funding areas.